Measures first mooted in the Gambling Control Bill (2013) are finally set to be enacted by government. TAOISEACH LEO VARADKAR has said it could take up to 18 months for a gambling regulator to be established. Today, the government approved a plan to establish a gambling regulatory authority. Minister of State at the Department of Justice David Stanton brought the proposals, which are contained in a report from an inter-departmental working group on issues around gambling, to Cabinet today. The government has sought to introduce new legislation for the gambling industry as far back as 2013, but so far failed to do so, and it’s understood that to enact that legislation now wouldn’t be sufficient given the technological advances in the industry in the past six years. In light of that, Stanton’s working group has been working to update the legislation to better reflect the situation in 2019. 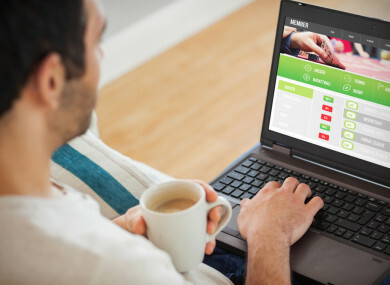 The new gambling authority would be given the power to develop and enforce necessary and appropriate licencing and regulatory measures in respect of all gambling activities, including online betting. Provision will also be made by the gambling authority to regulate in respect of the protection of vulnerable persons. It is expected a social fund will be established to support research, information campaigns and even treatment. This fund will be supported by levies on betting companies. In the most recent Budget, Minister Paschal Donohoe raised gambling duty from 1% to 2% which is expected to bring in an extra €50 million this year. The government resisted lobbying from the gambling industry on the matter, but had indicated recently that monies raised here wouldn’t be ring fenced for problem gambling treatment. Furthermore, the HSE has admitted that its statistics on problem gambling do not paint a full picture of the extent of the problem, with the only recent data suggesting that there are around 40,000 problem gamblers in Ireland – a far lower proportion of the population than in Northern Ireland. Officials at the Department of Justice have begun work on drafting the heads of legislation and acquiring the resources needed to establish the regulatory regime. Fianna Fáil TDs, Jack Chambers, Anne Rabbitte and Jim O’Callaghan said its party’s proposed legislation would ensure thee ministerial oversight of the new regulator. Spokesperson on Justice, Jim O’Callaghan said large-scale events with major online marketing investment such as last week’s Cheltenham Racing Festival shed light on a growing and very serious problem in Ireland. “We need to be in a strong position to monitor the industries operations in our country and a Minister should have a direct say in that. I hope it’s ensured that the independent regulatory authority is promptly established so that we can have proper regulation of gambling in Ireland,” he said. Fianna Fáil’s Children’s Spokesperson, Anne Rabbitte said the gambling companies employee a great number of people in Ireland, and invest in establishing business in towns across Ireland. But she added that it is a multi-billion euro industry that has been let away for too long without effective regulation. In addition to regulator proposals, the government also approved the publication of the Gaming and Lotteries (Amendment) Bill 2019 today. This piece of legislation will update the previous Gaming and Lotteries Act 1956 by bringing changes to the permit and licencing approach to small-scale, local gaming and lottery activity. It will also update certain stake and prize limits and standardise the minimum gambling age at 18. Email “Gambling regulator could take 18 months to set up, says Taoiseach”. Feedback on “Gambling regulator could take 18 months to set up, says Taoiseach”.